Heralded by a debut single (“Broken Prayers”) that raked in 16 million streams earlier this year, Riley Clemmons dropped her anticipated self-titled debut with Capitol CMG Friday Aug. 3. The wave of songs from the full length album have been received with great sonority. In addition to the viral single, “Better For It” is currently in regular rotation on Radio Disney and the newly released video for “Hold On” accumulated over half a million views in less than 10 days. The video, which featured a Beats by Dre brand partnership, was also featured on Friday’s YouTube/SiriusXM Top 15 Show on Hits 1 Radio due to its high ranking views. Seacrest Studios in Clemmon’s hometown of Nashville played host to a release date visit from the 18 year-old singer, songwriter earlier today. 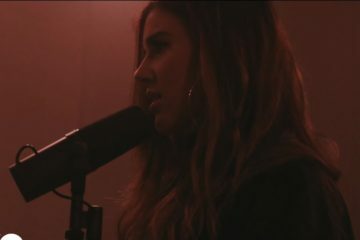 “Better For It,” “I’ll Stay,” “Broken Prayers” and a cover of Charlie Puth’s “The Way I Am” were among the songs she performed for children at Monroe Carell Jr. Children’s Hospital at Vanderbilt. Clemmons preceded her release date with a live performance from SiriusXM in New York City. 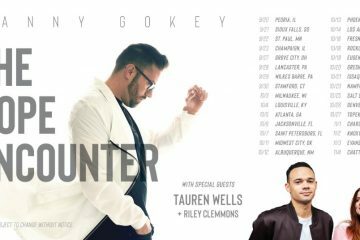 Hitting Atlanta, Phoenix, Los Angeles, Denver, Charlotte and more, Clemmons will join friends Danny Gokey and Tauren Wells for the 30-city “The Hope Encounter” Tour this Sept. marking dates coast to coast from Sept. through Nov. For more information, visit www.RileyClemmons.com.